Francisco Gonzalez, chairman of BBVA, recently said that banks needed to take on Amazon and Google or die. He aims to be one of the survivors. The 51 billion euro ($70 billion) Spanish bank has bought U.S.-based mobile banking technology startup Simple for $117 million. It may be a small deal, but it comes with potentially big implications for the industry. BBVA executives believe that by 2017 only 5 percent of customer interaction in the industry will happen at the branch. That may prove overstated, but Simple could be a part of whatever seismic changes hit traditional banking. Up until recently, many observers assumed that non-bank tech companies would use their cost and information advantages to take away the banks’ everyday business. So far, they have had more success in regions either lacking broad-based banking services, like some African countries, or where traditional providers are hamstrung by deposit caps and difficult regulations, as in China. But their skills in data mining and their lack of legacy costs – not least branches – are big advantages for the likes of Google. And smaller players can devise simple, easy-to-use products to tempt away bank customers. Simple, for example, allows users to work out how much is “safe to spend” and helps them reach specific savings goals. It’s all done on an app, with customer accounts outsourced to The Bancorp, a private-label banking provider. Simple now has 100,000 customers, a fivefold increase in just 15 months. That’s the kind of challenge Gonzalez warned of in a column he penned for the Financial Times in December. Pouncing on Simple, though, increases the possibility that banks can find a way to mastermind their own technological disruption. And BBVA is well placed to lead the charge, having opened a Silicon Valley-based venture capital firm to keep tabs on startups – and buy promising ones like Simple. The deal is no immediate game changer for BBVA’s relatively small U.S. business. Simple will keep its operational independence, with the only change being that BBVA’s Alabama-based Compass Bank will replace The Bancorp as account manager. Tech companies big and small are still in a position to wreak havoc. But by keeping tech enemies like Simple close, BBVA should be in a good position to fight back. On Feb. 20 Spanish bank BBVA announced it had agreed to acquire U.S.-based digital banking firm Simple for $117 million as part of its strategy of driving technology innovation in banking. Simple has 100,000 clients across the United States, a fivefold increase since the end of 2012. 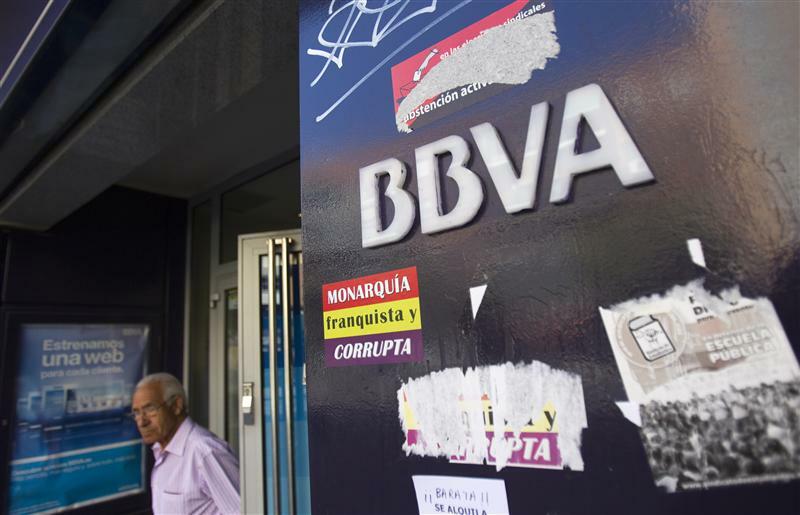 It will continue to operate separately under the same brand, BBVA said in a statement.